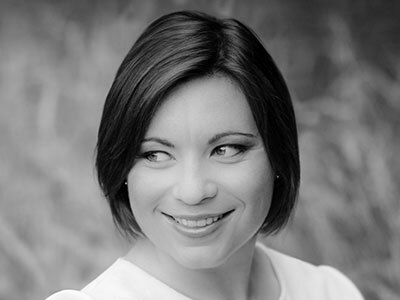 Natalya Romaniw is an Award-winning Welsh soprano. She studied at the Guildhall School of Music and Drama where she was awarded the prestigious Gold Medal in her final year, and was a member of the Houston Grand Opera Studio, graduating in 2014. In 2012 she was the first-ever recipient of both the Loveday Song Prize and first prize at the prestigious Kathleen Ferrier Awards. Natalya received unanimous critical acclaim in 2016 for her portrayal of Tatyana Eugene Onegin (Garsington Opera), and has since performed the role at WNO, and in Oliver Mears’s new production for Scottish Opera. Notable engagement elsewhere: Suzel L’amico Fritz (Den Jyske Opera), Lisa Pique Dame (Opera Holland Park, National Theatre Brno) and Jenůfa (Grange Park Opera). On the concert platform engagements include Beethoven Symphony No. 9 and Mahler Symphony No. 2 (Hallé), and Janácek’s Glagolitic Mass (Three Choirs Festival). Most recently she made her debut as Tosca at the Festival Lyrique International de Belle-Ile en Mer. Forthcoming: Marenka The Bartered Bride (Garsington Opera).